The Black Cube is the classic among the phono preamps: since its product launch in 1995 it has enjoyed cult status with a vast number of record lovers, causing a sensation in the specialised press with its compact dimensions and marvellous sound. Since 2006 the audio pc board has been on the market in a new and greatly improved version. Can you still remember what it was like to put on your favourite LP for the first time? Which detail cast a spell over you and even today is still fascinating? 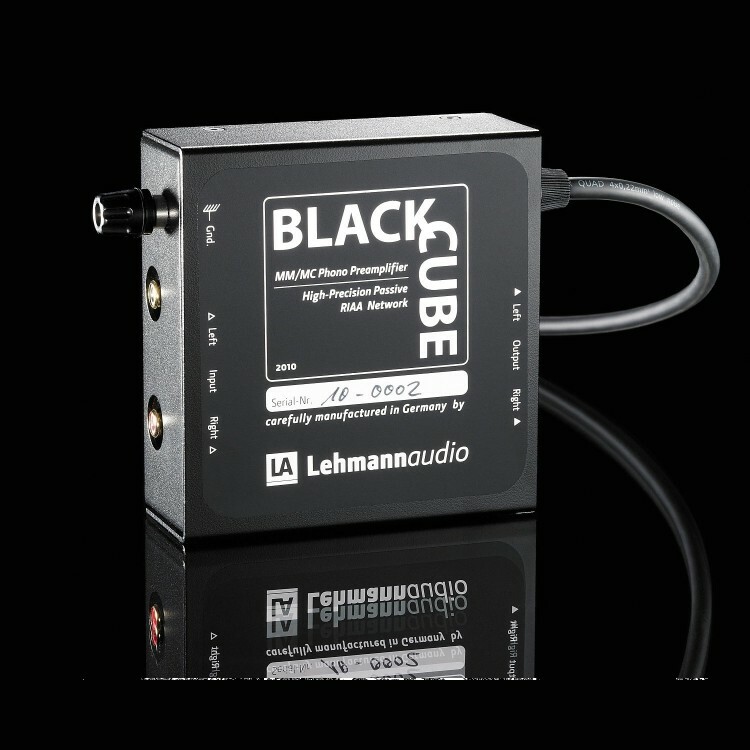 The Black Cube enables a new encounter with beloved music classics: owing to its excellent components and sophisticated circuit design, the sound is faithfully reproduced and with plenty of ardour, despite its tiny dimensions. "I don't know of anything at or near the price, that sounds this good." A wide range of tonal shades and its downright explosive dynamics are typical features of the Black Cube. These are due to the high-precision passive RIAA equalisation circuit located between two linear gain stages, which has been realised using low-loss precision MKP foil capacitors. The high-grade input stages of the latest generation ensure a low-noise reproduction; it’s not without reason they are also used in high-quality mixing desks and microphone preamps. The custom-designed power supply provides a large headroom. 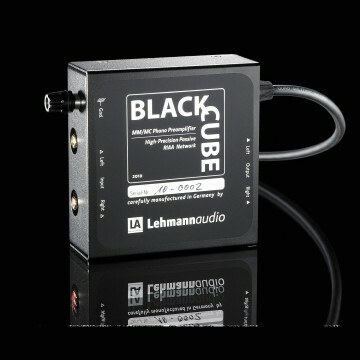 Due to the maximum gain of the Black Cube virtually all common pickup systems from high-output MM to MC may be connected. The configuration options ensure an almost unlimited freedom of choice. A free slot for a custom impedance offers a matching termination even for demanding MC systems. All resistors are low-noise metal film types. For the gain and impedance selection we only use switches with gold-plated contacts, of course. And we have also provided an extra hardwired plug-in location per channel for an immediate and direct action with no switch. Likewise, the versatile nature of the Black Cube becomes apparent when mounting the device: you can easily place it very close to the tonearm of your turntable drive. This is enabled by the cable between power supply and audio section and also by the compact dimensions of this phono stage which are typical of the entire Black Cube series. The shielded cable is fitted with an original Neutrik XLR connector on the power supply side. Furthermore, the enclosure of the audio section is made of a non-magnetic material (aluminium) and its top lid is mechanically dampened. The audio section contains additional modules for an efficient hum, HF and random voltage suppression. The use of a double-sided audio board also offers additional ground planes for a zero-interference operation. The impressing technical details of the Black Cube.